The thrill of diamonds. The emotion of your music. 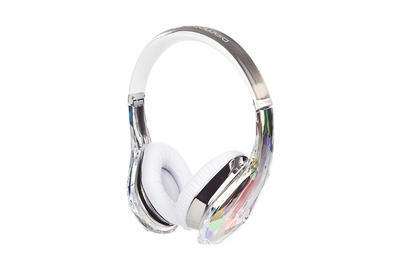 headphones that let you hear your favorite songs just as the artist created them in the studio. Clear. Involving. Impactful. Edgy. The ultimate in fashion meets the ultimate in sound. The Diamond Tears high-definition headphone was created much like an object of high fashion -- designed with unfettered imagination and only the finest materials. When you're hearing Diamond Tears you're hearing your music the way you've never heard before: through proprietary driver technology and the cut-no-corners materials required for high-performance audio. It was the only way to deliver the ultra-accurate response that Diamond Tears promises. The power of great beauty. 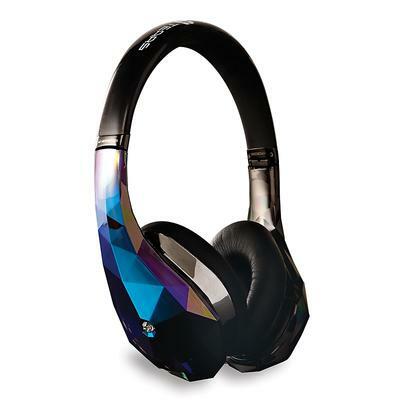 Diamond Tears uses no amplification or noise cancellation circuitry that adds other frequencies and colors the sound, so you hear the music, potent and uncompromised. Thunderous, riveting bass. Thrillingly precise mids. Dazzling highs. Imagine the clearest, most compelling music system you've ever heard. Now imagine wearing it. Like a fine example of haute couture -- a marriage of style and comfort. In a high-performance headphone, fit is everything. To delivery extreme clarity and hard-driving bass, the foam earcup density must be of the highest quality and embrace you effortlessly to keep the noise out and your music in. 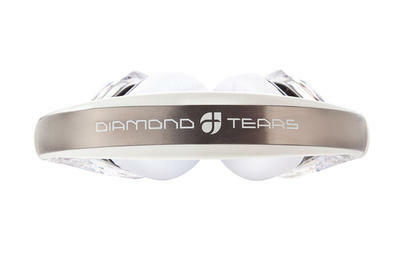 From the first moment you try on Diamond Tears -- even before you turn on your music -- you feel the physical blend of comfort and technology that must exist for high-definition audio performance to occur. Made by artists, for those who value beauty in their life. JYP is redefining the sound of pop music all over the world. Through his music, his movies and his supergroups like Wondergirls and RAIN JYP has delighted the world with his mixture of edgy fashion and irresistible sound. He and the technological artists at Monster have worked relentlessly to create an unrivalled sound and fashion experience.